With the turning of the leaves, the autumn literary festival season has arrived. There’s a bumper crop of festivals for the lucky reader to pick from — whether the biggest and oldest-established, like Cheltenham, or the smaller, local events like North Cornwall or Berwick. Most authors are delighted to be invited — if occasionally a little nervous. Although a vanishingly tiny few of us can ever hope for events on the scale of John le Carre’s recent appearance in London — filling the 2,500 seat Royal Festival Hall and having the talk screened live in cinemas across the country — the chance to meet other readers and writers is welcome. If nothing else, it gets us, blinking in the daylight, out of the house. And of course, we in our turn queue up, new copies in hand, to see and hear from the other authors we most admire. Claire Fuller, author of Swimming Lessons, has seen events from both sides of the stage, as writer and audience member. And of course, whatever gossip is exchanged in a festival Green Room as the authors mingle stays in the Green Room. Doesn’t it? For the festival directors who book the authors and sell the tickets, what makes a successful event? And let’s be frank, part of the attraction for all of us is the hope that the publicity that goes with an event will result in both bums on seats and books in more readers’ hands. Writing can be solitary; a chance to venture perhaps to a new place, to meet an audience, helps us to feel part of a community. When Beth Miller, who has written two novels as well as the non-fiction ‘For the Love of Shakespeare’, spoke on Shakespeare at a festival in Felixstowe, she says she got more feedback in one afternoon than she normally would in six months as a writer. There’s a thought to keep us all encouraged through the dark months to come. Terry Stiastny is appearing with Tim Weaver at Guildford Book Festival on 10th October. Claire Fuller and Kate Hamer are both at Crickhowell fest on Friday. Terry Stiastny is an author and former BBC journalist. Find out more about Terry here. 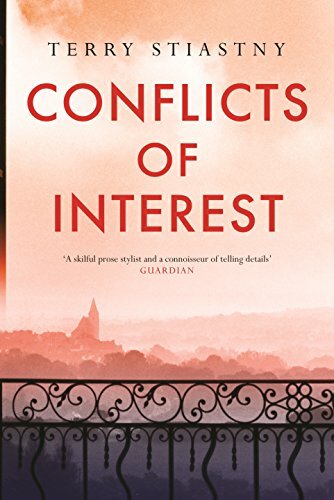 Her second novel, CONFLICTS OF INTEREST came out in June from John Murray. 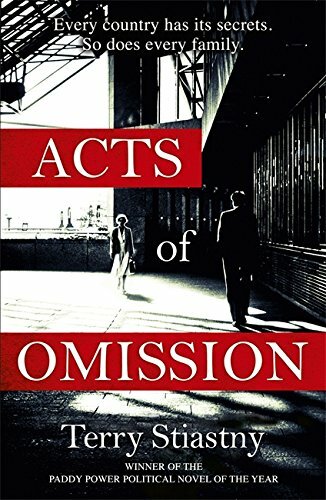 Her first, ACTS OF OMISSION, won the Political Fiction book of the year in 2015.